It’s only been 10 days, but so much has happened – both on the outside and on the inside. I have visited some of the most amazing places in the world, I have had some fantastic magic shows, but most importantly, I have made many new friendships that will last a lifetime. I am learning that it’s not about what or where, but instead, it is about how. I can be in one of the most incredible places in the world, like the Taj Mahal, and feel hollowness amidst the swarms of people passing around me. Or, I can be in a dark, empty, 10ft. x 10ft. room that sleeps 8 orphan girls on the floor in the conflict ridden region of Kashmir and feel profound joy as we goof and laugh together. The how that I am referring to is connection. We are social creatures. I am continuing to learn that sincere happiness is cultivated from meaningful interactions we share with other beings. Without such interactions, the most impressive places on this planet can feel empty of light. However, with such connections, the most mundane setting can be laden with memories that will be cherished forever. 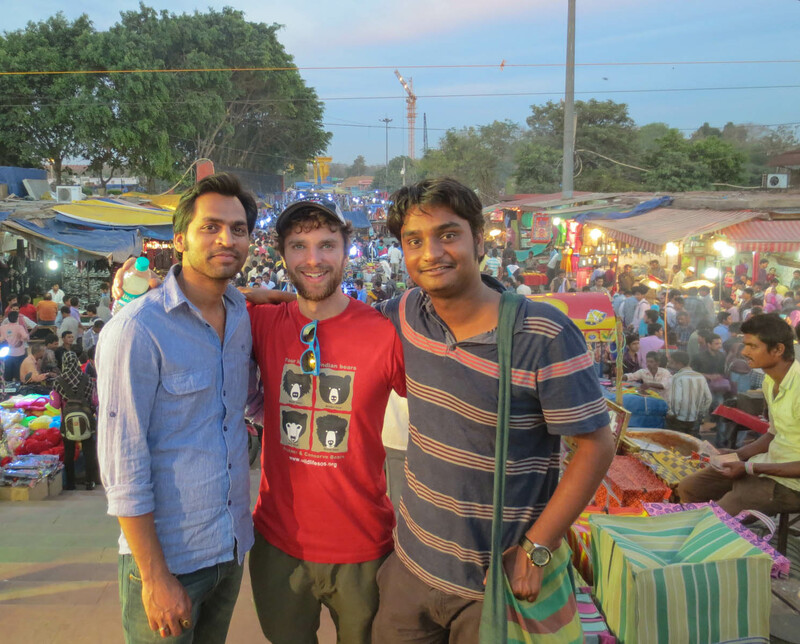 My 10 day tour of Northern India has been awe-inspiring. I have been blessed to meet some of the greatest people in the world over these last 10 days. 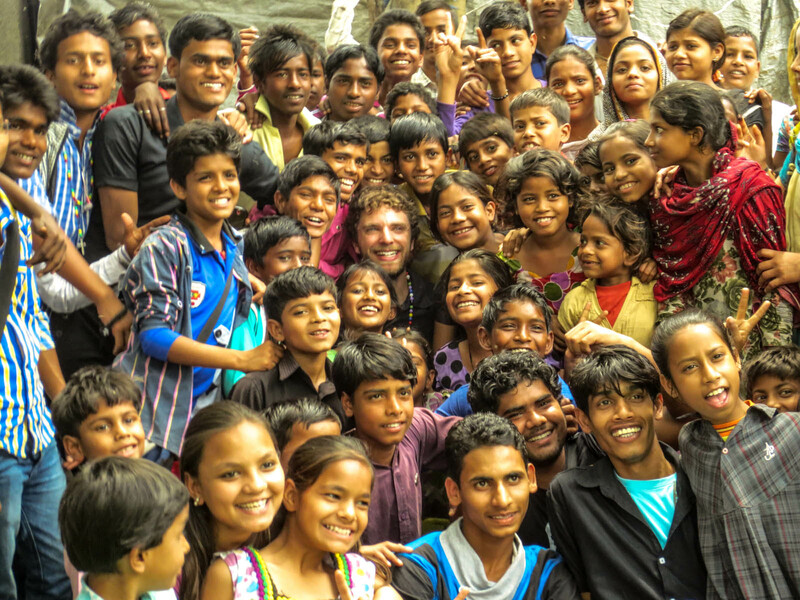 I will share my experiences and reflections regarding the amazing work that the NGO’s who have hosted me are doing in Agra, New Delhi, and Kashmir. I encourage you to visit their websites to learn more (links embedded with their names). Wildlife SOS (WSOS) has been featured on a lengthy special by BBC News for good reason. They have 4 animal rehabilitation centers in India. 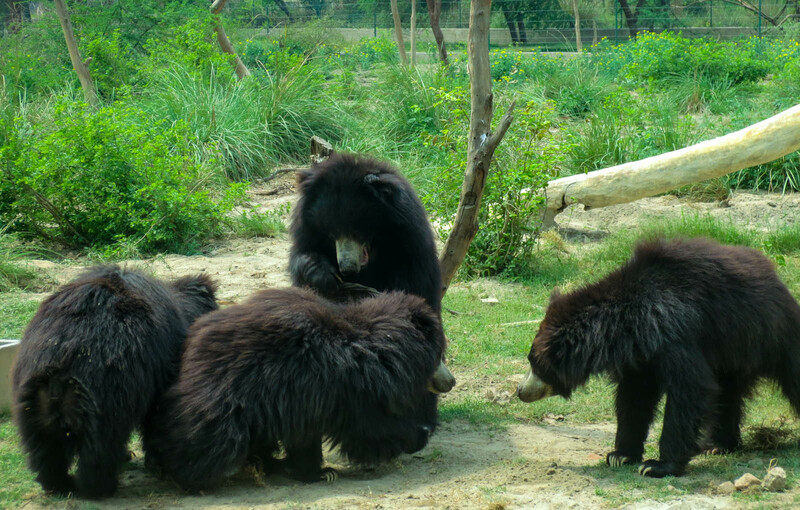 I visited their center in Agra, where they house over 240 sloth bears along with other animals. The sloth bears have been captured by the Kalandar people of India for many decades for the purpose of street performing as dancing bears. These bears are beaten, kept on a 4ft. rope, pierced with a large hook in the nose and ears, and forced to dance for street audiences. The dancing bear has been a long tradition and source of income for the Kalandar people. Now such abuse is illegal and WSOS has been responsible for peacefully rescuing over 600 bears in the last seven years. An important aspect of their work is to provide rehabilitation to both the bears and their previous masters. The Kalandar people are not villain-ized for what they do as they do not understand the harm they are causing for the bears and ecosystem. Instead, WSOS provides education and materials for the Kalandars to start new business ventures such as sewing and small convenient shops. WSOS has taken into account the complexity of the problem and they have devised a comprehensive and effective solution. Almost all of the dancing bears in India are now off the streets. 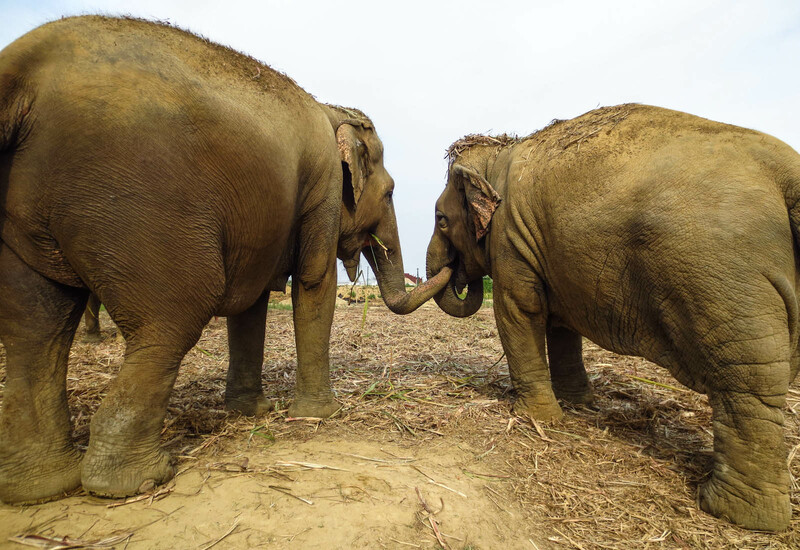 In addition to this, WSOS, rescues elephants, leopards, snakes, monkeys, and other animals from accidents and conflicts with humans. I stayed in the middle of their wildlife refuge and came face to face with elephants, hyenas, boar, monkeys, sloth bears, antelope, and many other species. They have all been rescued from dangerous situations. Kartick, my friend, who is the co-founder of WSOS was not available because he was transporting 20 rescued leopards to one of their centers. While there, I performed two shows for their numerous animal keepers. Thank you to Baiju, Arpit, and Prathamesh for your hospitality during my visit. While in Agra, I visited the Taj Mahal. It is obviously one of the most incredible structures in the world. 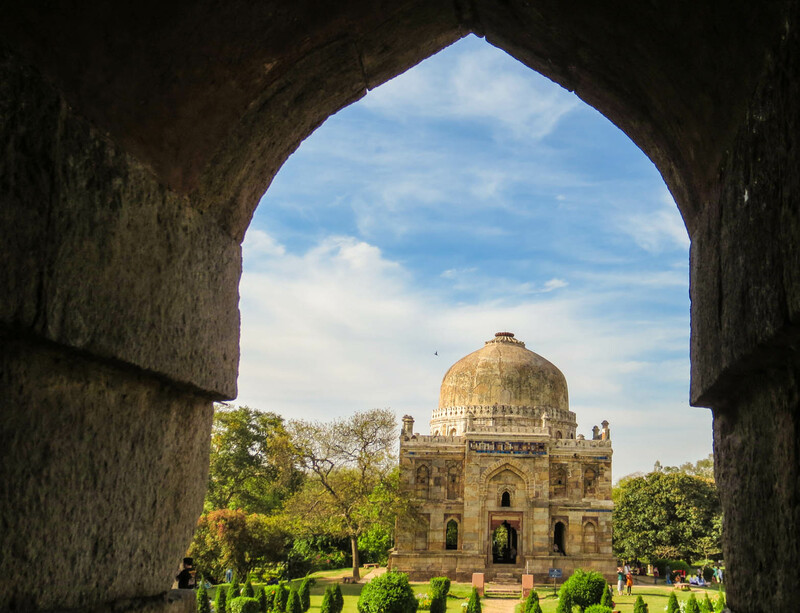 It was built as an emperor’s token of love for his dying wife. It took 15,000 people 20 years to complete the intricate marble inlay found throughout. 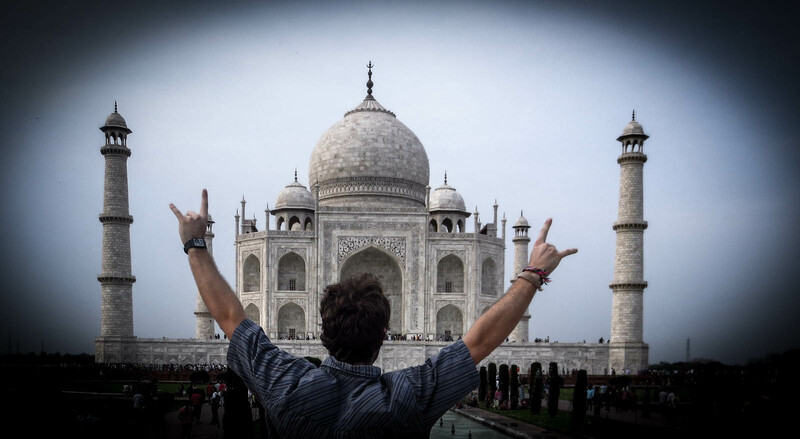 At first, I was inspired by the metaphor the Taj represents for the heart of the Indian people. My romantic inspiration quickly darkened after learning that after its completion, the emperor ordered that both hands of all 15,000 laborers be cut off at the wrists in order to prevent the construction of any structure that would rival his own. Now, in my mind, the Taj represents the full spectrum of India. Yes, there is great talent and dedication amongst the majority of people here in India. And like those laborers who lost their hands, these dedicated people are regularly suffocated by an intentionally ineffective system that is corrupted by those with greed for power. It is an overwhelming and often atrocious reality. 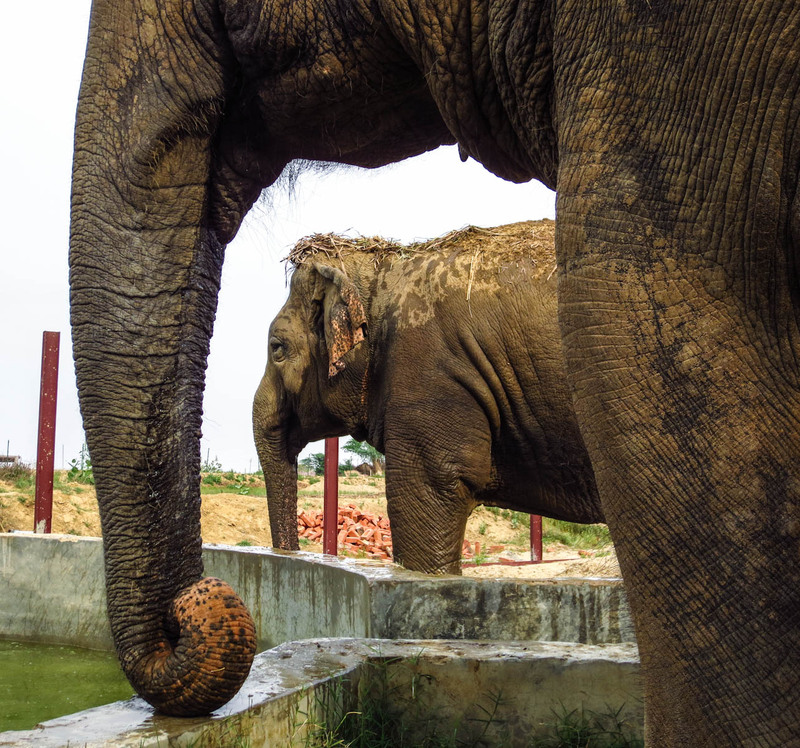 On a lighter note, while in Agra, I spent many hours playing with 7 elephants that have been rescued by Wildlife SOS. Elephants are gentle giants, and although they eat 18 hours a day, they move with inspiring grace and intentionality. SRUTI connects the dots. They provide resources (training and financial) via fellowships that are awarded to community leaders in 13 different states of India. SRUTI’s model is based upon the understanding that those who live in challenged communities are better prepared to address shortcomings than someone from the outside. Consequently, they support the work of local community leaders who are already doing fabulous work but need an extra push to be most effective. 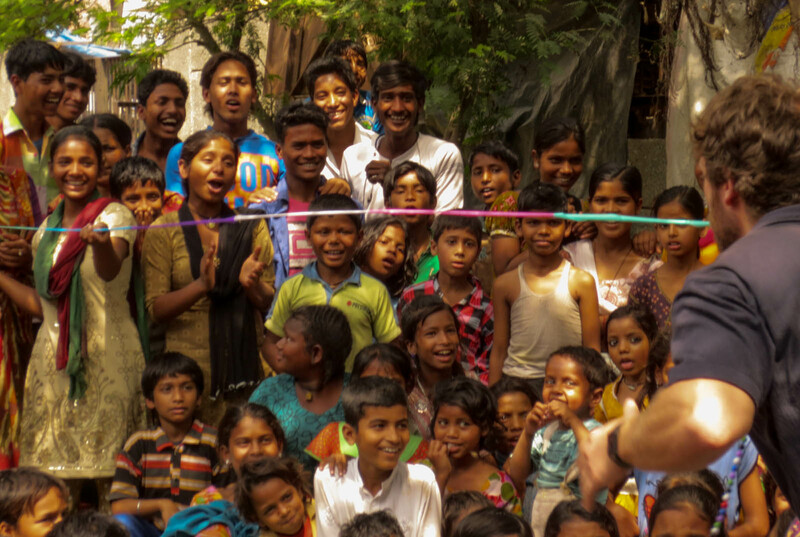 I love their model because through their networking skills SRUTI is empowering leaders to make huge changes in their own communities. Consequently, by not getting bogged down in the day-to-day grind, SRUTI can focus on the bigger picture and thus invoke great change in society. SRUTI was recently featured on a national TV special called “The truth prevails” and were subsequently offered a $160,000 contribution from a major communication company, Reliance. However, they turned it down because it had strings attached and the conditions would have sacrificed the integrity of their work. I arrived in Delhi by train at midnight and was greeted with champagne to celebrate my host, Saurabh’s birthday. Needless to say, Saurabh, his roommate, Vikash, and I had a great time exploring the city during his birthday weekend. Thank you to Saurabh and Shweta for your generosity and friendship during my time in Delhi. I performed two shows on behalf of SRUTI that were arranged by two of their fellows in different communities. 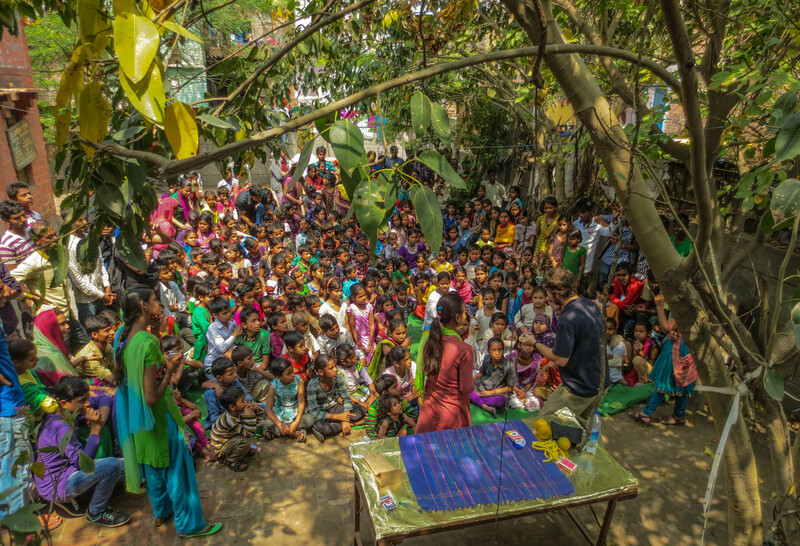 One of the shows was in a slum in the north of Delhi. This slum began when the politicians displaced the current inhabitants from their original dwellings which were near the center of Delhi. The politicians chose to abolish hutments in that sector and thus displaced thousands of families. Now, these families, many as large as 15 people, live in government constructed concrete dwellings that are about 10ft. x 10 ft. Often, the families use the enclosed space to cook and eat, and then they sleep outside as there is not enough space for all members inside. Consequently, the situation has led many youth to the street life of violence and other negative behaviors. My show was received with countless whistles, smiles, and laughs. 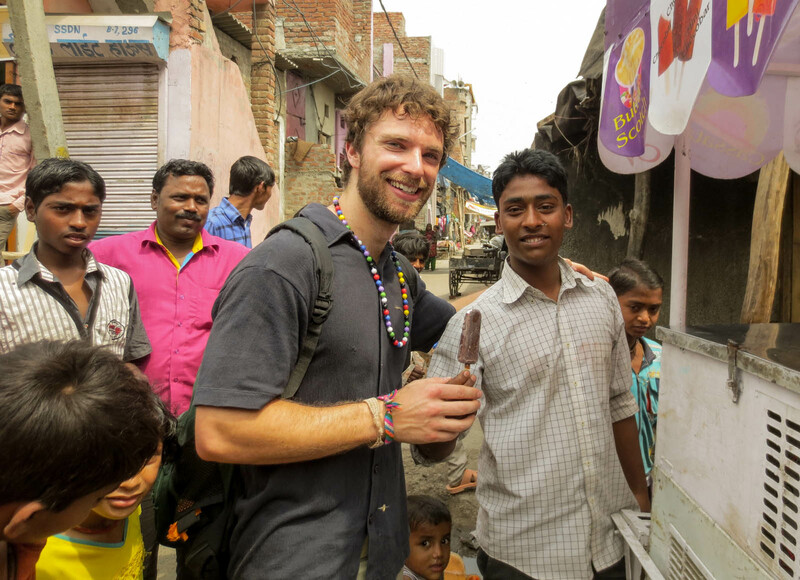 My time in their community reminded me that we all share something universal in our humanness. I think that humans are inherently good. However, people make poor decisions that harm others and cascade to other bad decisions based on initial pressures from their situational context. After my show, I ran into one of my favorite whistlers on the street and he whistled me over to his push-cart cooler to gift me with a refreshing ice cream. Kashmir is wild. Being there felt as if I had time traveled back a few decades. Kashmir has been sort of a no-man’s land since 1947 when Pakistan separated from India. There was confusion about what to do with the region of Kashmir due to the divisiveness of the religions of Islam and Hindu. About 25 years ago, political extremists took advantage of the unsettled border dispute in the form of militant groups. This has led to extreme violence in the region. This violence was created by the militant groups to serve their larger mission of gaining resources and control. Although today, the violence is much less than it has been, it still exists and its potential is ever-present with the heavily armed soldiers posted at every corner. The people of Kashmir have developed a dehumanized mantra of apathy – they have no country to identify with and this breeds a confusion of goals, identity, and motivation. The militant groups have capitalized on this confusion and emotional volatility at the cost of many lives. Commerce stays away from this beautiful, resource rich region due to its instability. Thus, Kashmir unfortunately takes the experience of being in a developing nation to a new extreme. Forget about internet. 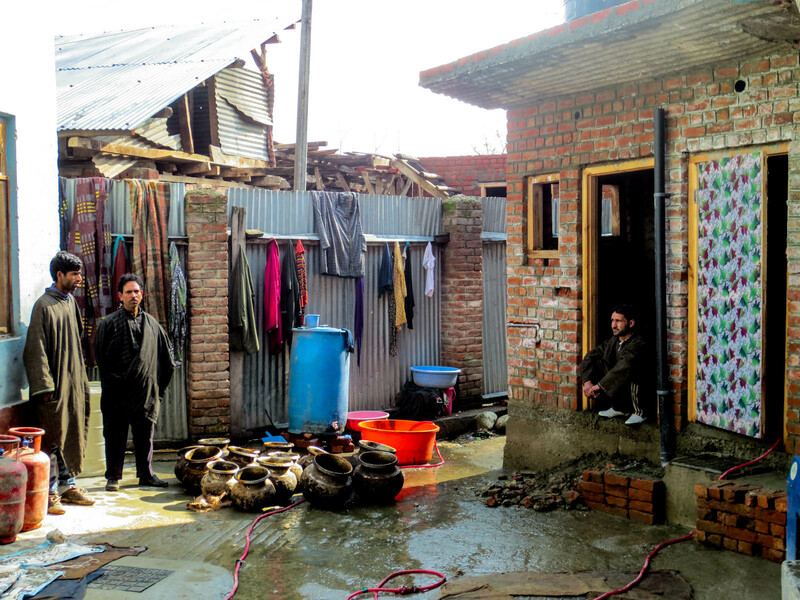 Electricity is undependable outside of the cities of Srinagar and Jammu. Clothes are washed in streams outside of homes. The frigid snow-laden winters halt transportation and the little commerce that exists for 4 months each year. In the small villages where the orphanages are located, the locals told me I was the only foreigner they had seen in their village. It is a different world. Borderless World Foundation (BWF) cares for 146 orphan girls at 4 different residences located throughout the region of Kashmir. Many of these girls are children of militants. In particular, the Muslim region of Kashmir devalues the role of women in society. 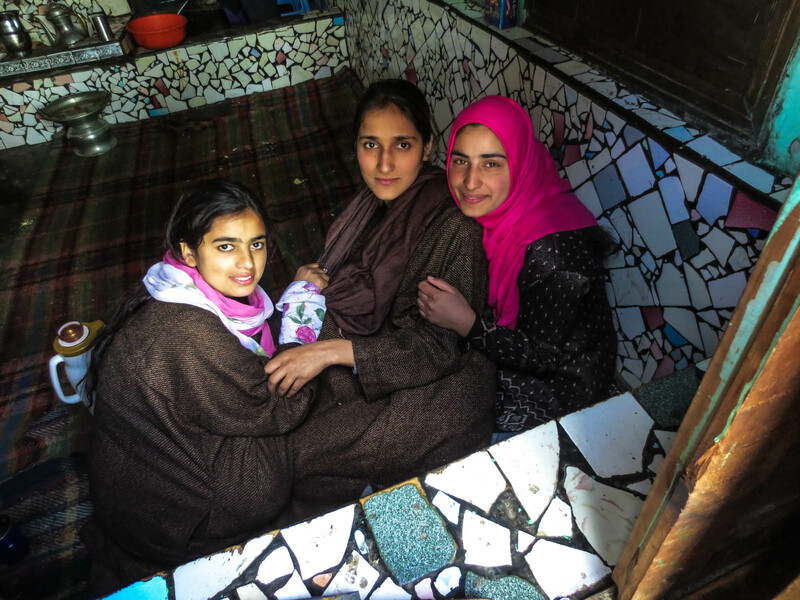 At its inception, BWF became the only orphanage in Kashmir that opened its doors to females. Consequently, militant groups have targeted BWF leaders for kidnappings and assaults as their work is contradictory to the militant mission of establishing power and control through fear. Although the situation is more stable now than it has been in the past, the people of BWF risk their lives to care for these girls. That is dedication. I spent a total of 3 nights in 2 of the different orphanages. The girls are absolutely fabulous and some of them are even national award winning photographers. This is thanks to my friend Nitin who is not only one of the directors of BWF, but is also a well-known professional photographer/filmmaker (2 photos courtesy of Nitin). He began teaching the girls photography about 4 years ago. 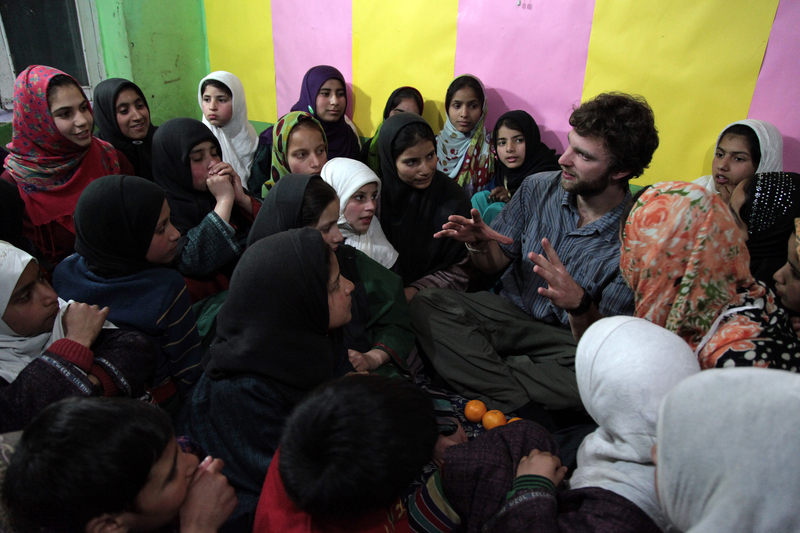 I spent some quality time with the girls during those 3 nights and taught them some English and a few games to play. Some of them asked to learn magic – would be great for MWB to return and offer a multi-day magic workshop for some of these wonderful girls. The seed has been planted. At the BWF residences, the living situation is very basic, but most importantly, the girls’ needs are being met and they are now safe. Currently, BWF is working towards the next stage of their mission by guiding the girls to become well-educated, global citizens. This is an immensely challenging undertaking considering the poor quality of education in the local schools. 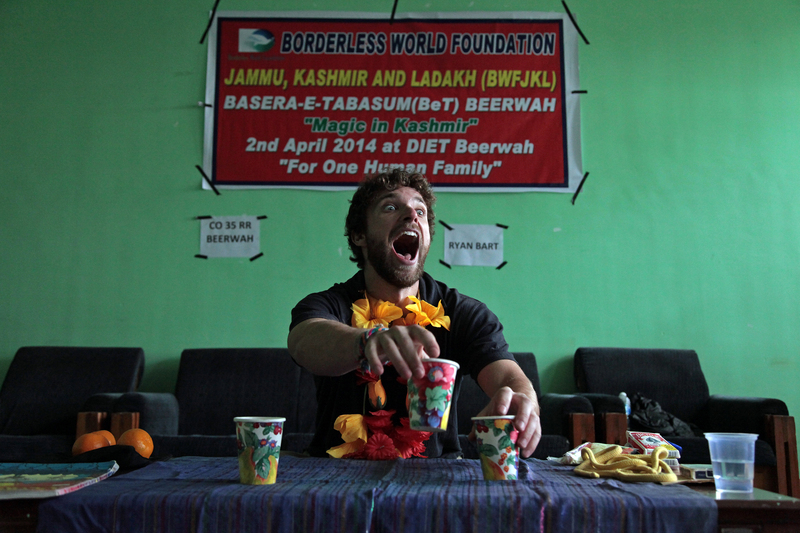 Additionally, on April 2nd, BWF hosted their first ever community event which they called “Magic in Kashmir.” They invited local families, school students, teachers, and even military officials to attend. My visit prompted this event and it was a complete success. It brought people together in community and important issues were discussed preceding my two magic shows. Even an army general attended. He was enthused about my magic and presence in the community. In return, I kindly but firmly asked that he do everything in his power for peace. He seemed to get it. For me, that was worth the trip in of itself. 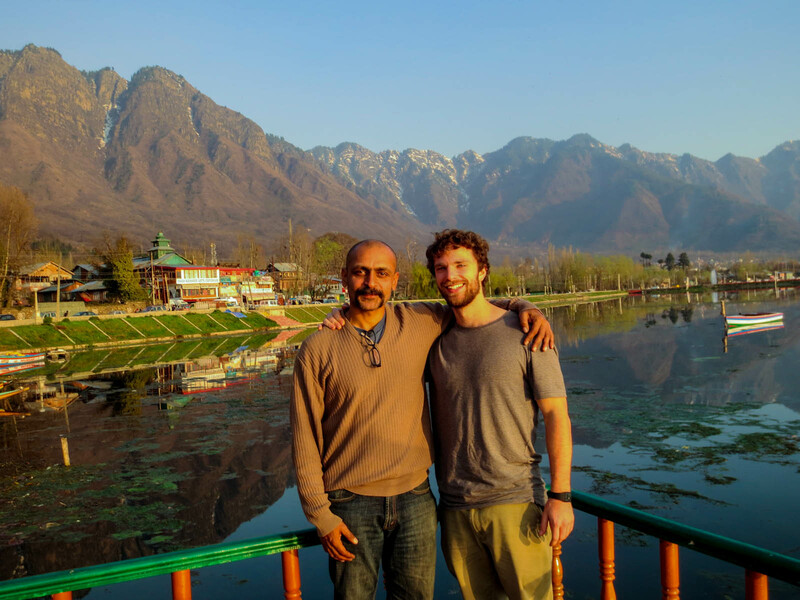 Thank you to Nitin and Sheikh for making my time in Kashmir truly unforgettable. Also, I want to extend my sincere gratitude to Nimesh Bhai and Caring Friends for organizing and sponsoring my trip to these wonderful organizations. It would not have been possible without your guidance and support. May this merely be the beginning. It’s about the how. There is a difference between travel and tourism and I will choose travel any day. I love and am grateful for the way in which volunteering for Magicians Without Borders has enabled me to travel. 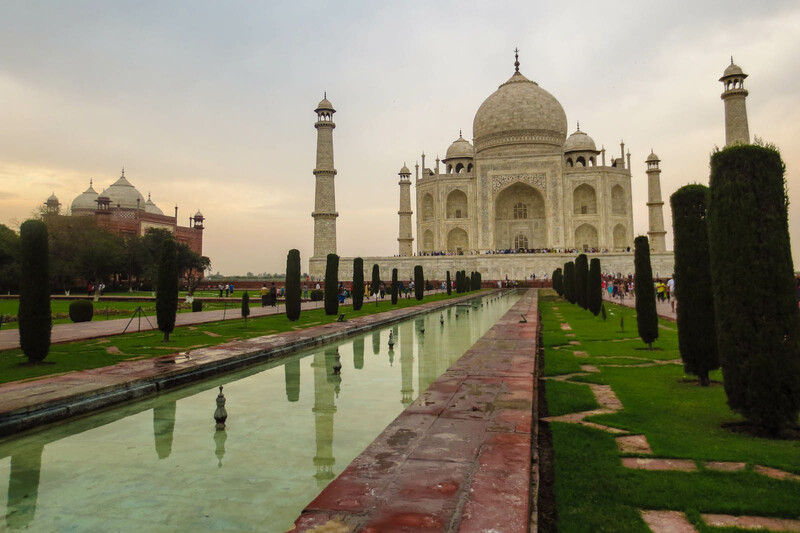 Although it is nice to see wonderful places like the Taj Mahal, it is even better to spend quality time with the local people learning about their lives and the issues that are important to them while using magic as a means to connect. I have compassionately sat with and listened to people who are dealing with immense suffering. I have also shared laughter, magic, and subsequently planted seeds of hope with those same people. As humans, suffering to some extent is inevitable, but what is most important is how we encounter such difficulties. I believe magic helps illuminate that. Time and time again, I am taken aback by the suffering so many endure. Yet, I am inspired by their profound resilience. The comforts of home and life in the United States scare me because comfort has a tendency to breed indifference. 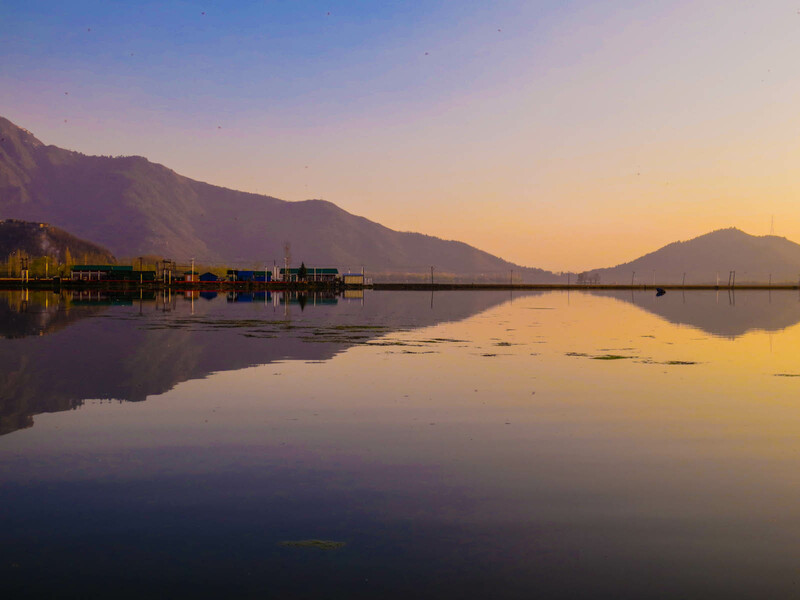 It is impossible to be indifferent when you spend time in places like Kashmir. I have been ruined. Or maybe I have been saved – time will tell. 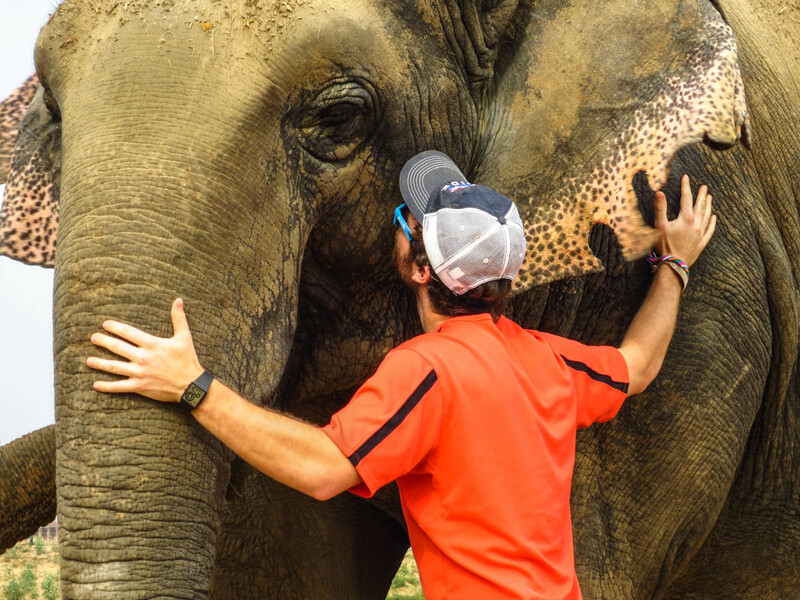 What I do know, however, is that I find true happiness in the sincere connections I make with those I meet (not only humans, elephants and other beings included). The context forms the interaction that leads to connection, but is rather unimportant, because in the end, we all share the universality of wanting to meaningfully connect with each other. How will you choose to connect? This entry was posted in Blog by rbart. Bookmark the permalink. So happy to see you are doing well! As always you are crushing it, and I couldn’t be more stoked. Keep on trucking; I look forward to reading about your adventures. What a terrific journey and an inspiring read! Fantastic, Ryan –what wonderful words and images. You are doing it!!! I am so thrilled that you are having such a great adventure and doing so much good a long the way. I cannot think of a better representative of Magicians Without Borders than you. You are amazing. The work you do, the delight you have doing it, the way your view of things is so balanced —so positive and yet your feet are solid on the ground and you look reality in the face –with all its beauty and horror. Thank you so much for all you have done –in Colombia at Bella Flor, in Mumbai at Prerana and now on your journey through Northern India and Kashmir. …what an amazing journey, on so many fronts. And I have to admit, I did think of Bob Seger when I saw the note “greetings from Kathmandu!” Rock on! Ryan you continue to make me and all of your friends and family proud every day. You are doing amazing things and reading about your experiences helps to shed a little light for us too. Absolutely fabulous post, Ryan. Your words were informative and educational, thought provoking and profound, heartwarming and compassionate. I am deeply touched. Although there is sorrow and atrocity, there is also goodness and hope. And oh those beautiful photos – I can’t get enough of them. I, also, could not help but marvel when I saw the scarf I bought 30 years ago in Turkey and wore in India during my year long trip around the world sitting on a table in Agra. I love that – life is full of wonder and one never knows where we or “anything” (as in the scarf) will journey. Here’s to wonder, connection, and deep, full living. I have been meaning to write since your last blog when you shared about Medical School—huge congratulations from my family! I do feel very much that though we would love to have you closer at the U of W, that you are meant to go EXACTLY where you are headed next….I have a special friend who has dedicated her life to learning Craniosacral Therapy from a distinguished Osteopath–Dr. John Upledger. She has become an expert in equine CST and I have witnessed PROFOUND healings, from a remote location–she lives across the country from my horses, but I have witnessed their connection on an energetic level from that great distance and it is mind boggling. You are a healer, indeed, with your magic hands and heart, and your journey continues to inspire people all over the world. Your writing has always been good, but it has become INCREDIBLY GOOD–insightful, deep, meaningful provocative, fascinating ,fun and funny, and most of all inspiring. The photos you and others have taken are amazing, and some of these latest remind me of Where’s Waldo, when your head appears amidst the crowd. WowWowWow! I could not be more proud of the young man that you are, and the mission of love that is your life! 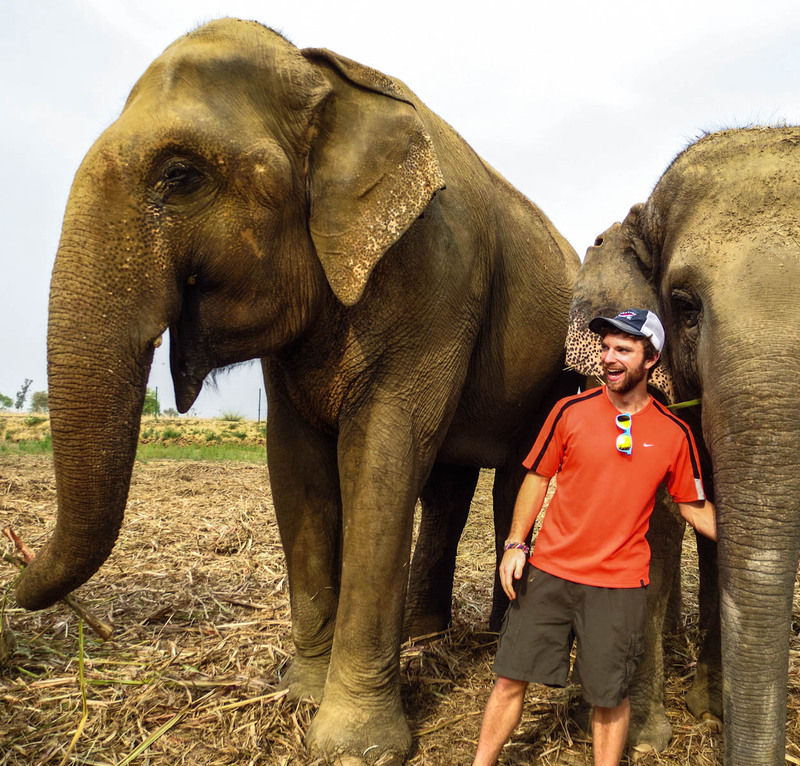 I have loved elephants all of my life, and the last photo knocks me out—in the best way possible! Thanks for writing. Stay safe, learn lots, serve joyfully, and have fun. Incredible, thank you for sharing. Thank you Ryan, for taking the time to make this beautiful and educational website. We all, continually change at so many levels; the gift you have is the ability to put it on paper and share with the world. You are absolutely amazing! Your post painted an amazing portrait,made me feel like I was with you. (Which I am in spirit) You are touching more lives then you can even imagine and will never know! Thank you for your very thoughtful and caring blog. What an amazing trip you are having. I am reading “I Am Malala” about the girl from Pakistan that was shot in the head after being brave enough to speak out against the Taliban. This is a pretty amazing world we live in and I think your comments about being comfortable and indifferent are spot on. Be safe and I look forward to hearing more about your adventures and to seeing you in Claremont. Glad to hear that Diane is helping you get settled.